Thank you for your interest in the RES Scholarship Golf Tournament 2019. Net proceeds from this golf event go directly to fund scholarships for deserving Native American business students at our fall event. Participation is available to all registered RES 2019 attendees. Registration opens at 7am at the Las Vegas Paiute Golf Resort. 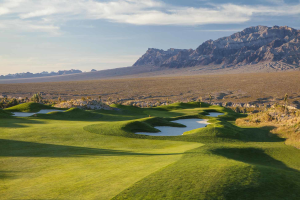 Transportation will be provided to the Las Vegas Paiute Golf Resort. More details to come. Bring your Cash to help continue providing Scholarships! 4-person scramble – 9am shotgun start. If you have a team please register all members at the same time. Registration for golf occurs at the same time you register for attendance at RES 2019. Spaces are limited, register early! Net proceeds from this golf event go directly to fund scholarships for deserving Native American business students at our fall event. If you are interested in sponsoring the annual NCAIED Scholarship Golf Tournament or making a scholarship contribution, please call (480) 545-1298 or e-mail sponsor@ncaied.org. The Golf Tournament is open to non-conference attendees. If you would like to play in the golf tournament as a single or foursome, click the link below to register. Your participation will help fund various Native American projects and charities around the country. RES Questions? Send us an email.